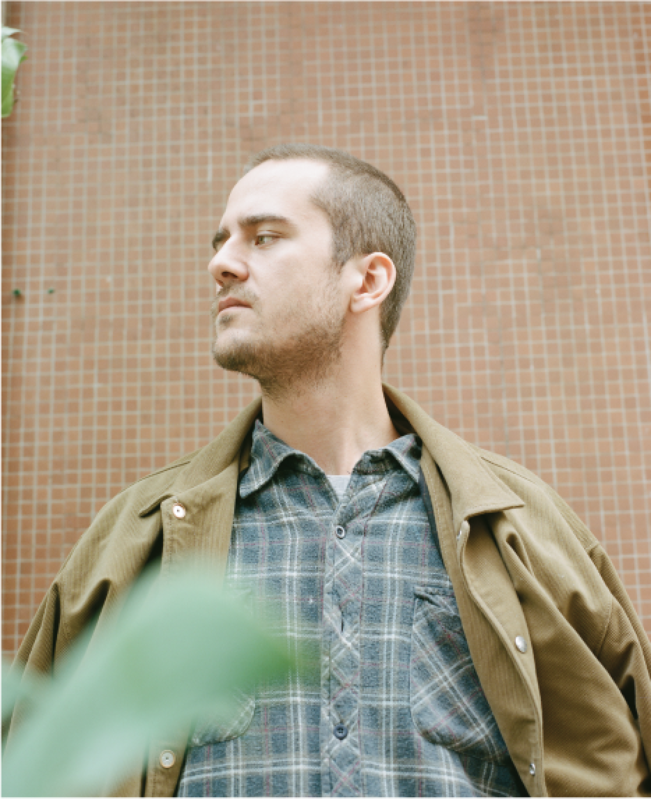 Born in Paris, but with a spirit that belongs to Stromboli, Hugo Belloy combines strategic thinking, creative vision, thoughtful design and flawless execution to connect people and brands in interesting ways. He sees the world differently, identifying ways to make the known new, using unexpected touches and paying exceptional attention to detail. This is his magic: the ability to ind the essence of what makes a moment powerful, and amplify it to tell an authentic, compelling narrative. Born in Paris in 1985, Raphaële de Broissia studied both Textile Design at Françoise Conte school and Fine Arts at École Nationale Supérieure des Beaux-Arts in Paris. Everyday materials, accumulation and metamorphosis are the key elements that influence her work. De Broissia boldly brings new poetic meanings to daily objects such as nails, books, newspapers, and even, orange peel. Since her arrival in Hong Kong, she has also been perfecting her signature technique based on latex balloons and masking tape, which is shown in many of her new works. Born in 1980, Dr Pui Chee Chui apprenticed under Mr. Jat See-yeu and Professor Wang Dong-ling. 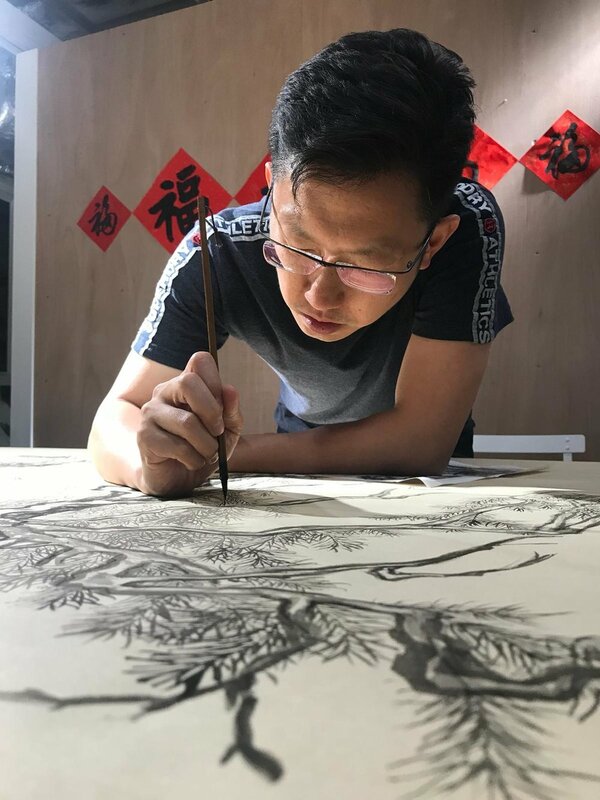 After obtaining his first degree at the Department of Fine Arts, The Chinese University of Hong Kong, Chui furthered his postgraduate studies at the Department of Chinese Calligraphy, China Academy of Art, where he obtained his Master of Arts and Doctoral Degrees in 2007 and 2010 respectively. Chui's artworks are collected by the Hong Kong Museum of Art, Ashmolean Museum of Art and Archaeology of University of Oxford and are popular among private collectors. Joyce Chiang is a modern calligrapher and product designer based in Hong Kong. Educated in the discipline of architecture, she graduated with a Master of Architecture degree and is an AIA licensed architect. With a decade of architectural experience from her education to working experience, Chiang’s aesthetic is directly derived from her architectural work - with a modern, minimal and elegant approach. She also visualizes and translates designs in multiple mediums - from calligraphy pens and paintbrushes to working with laser-cutters and 3D printers. Wu Jiaru obtained her BA in Fine Arts and English Language from Tsinghua University in 2014, and her MFA from the School of Creative Media of City University of Hong Kong in 2017. Wu experiments with imagined spaces and social norms in forms of installation, moving images, and printed edition. Her work is also in the OCT collection of Shenzhen. Daniel Kamp is a designer and artist with a practice spanning furniture, objects and interiors. His diverse projects are driven by a wide-reaching curiosity and anchored by a signature sculptural minimalism as well as an ongoing investigation of the relationship between nature and humanity. At just 27 years of age, Kamp’s work has received many awards, and is featured in important cultural publications all around the world. In 2017 American Express named him one of 10 young designers to watch from around the world. Started with fashion design in Paris, Charlotte Mörling gained exposure working with brands such as Koji Tatsuno and KOCHE. In 2016, she moved to Hong Kong and started Mörling Studios, where she constructs fashion to a more personal level and creates custom-made experience for her clients. Believing in the inseparability between art and fashion, Mörling’s works explore and transform materials, as well as their relationship with the bodies. Inspired by comics, Pop Art, Street Art and the Recycled Art movement, Antoine Rameau experiments with collage using different techniques, from Surrealist juxtaposition to Cubist construction, turning his collection of evocative images of mixed origins into oneiric new visual worlds. Each collage is an elaborate story filled with multiple symbols, historical and mythological references, and often satirical messages. Born in Shikoku, Japan, Shinichi Tashiro explored street art in New York at the age of 20 and lived there for many years as a homeless before moving to Hong Kong. Derived from his experience facing the world, Tashiro’s artworks are full of imagination and satire towards the society. Highly distinctive and with a one-of-a-kind sense of fantasy, Tashiro’s art resonates with those who live in modern cities.